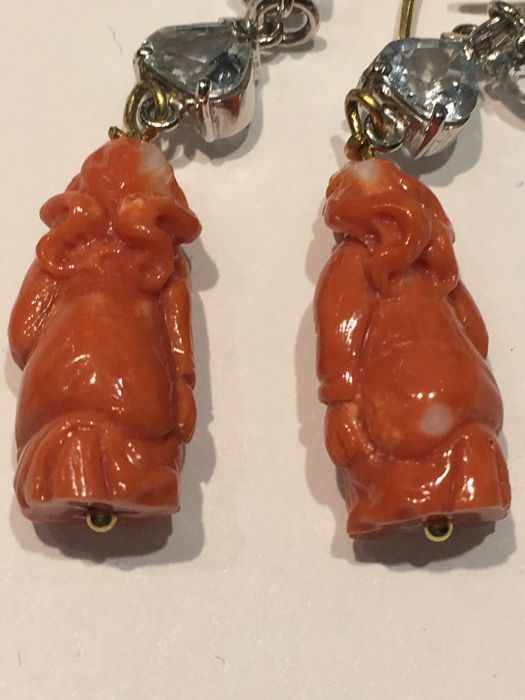 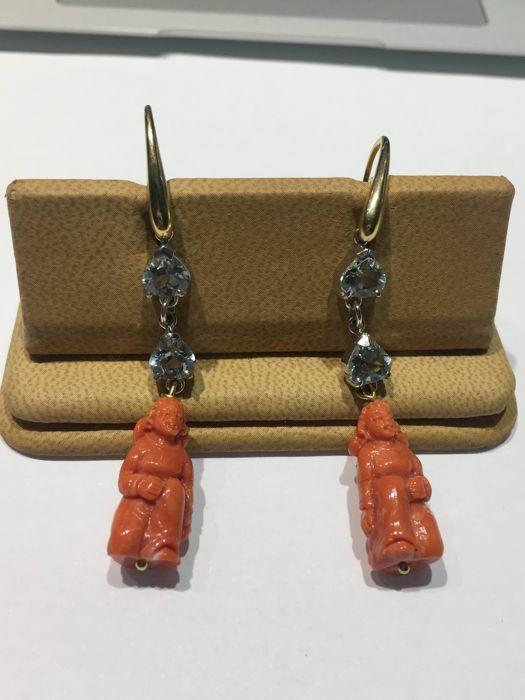 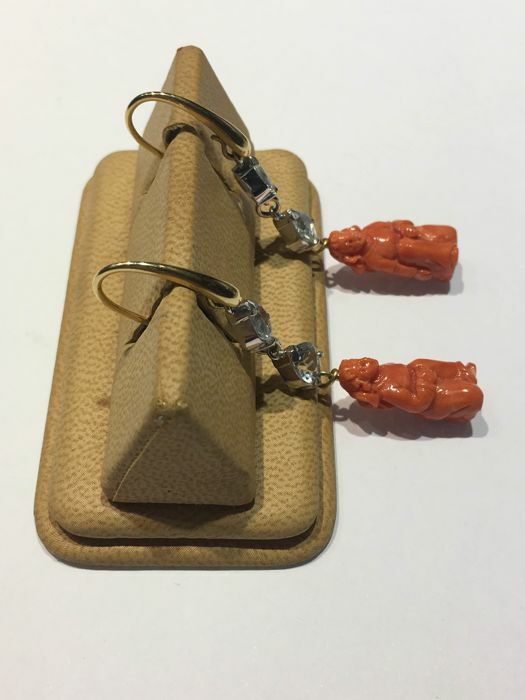 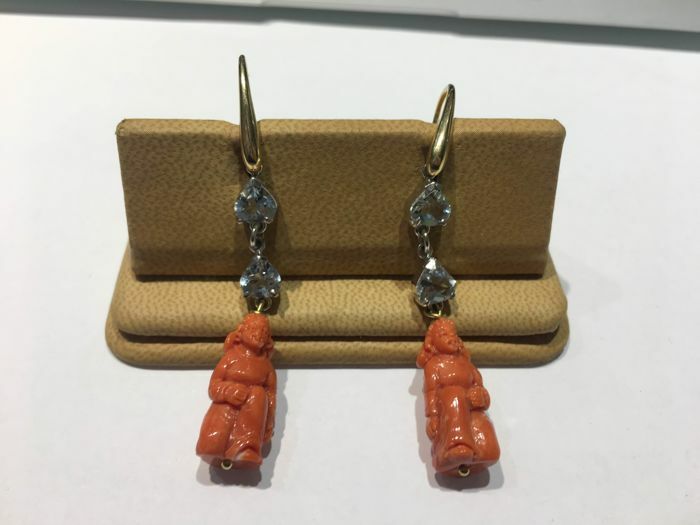 Pair of earrings in 18 kt yellow and white gold with 4 light blue natural pear cut topazes and 2 natural oriental coral statuettes, finely engraved and depicting 2 women's bodies. 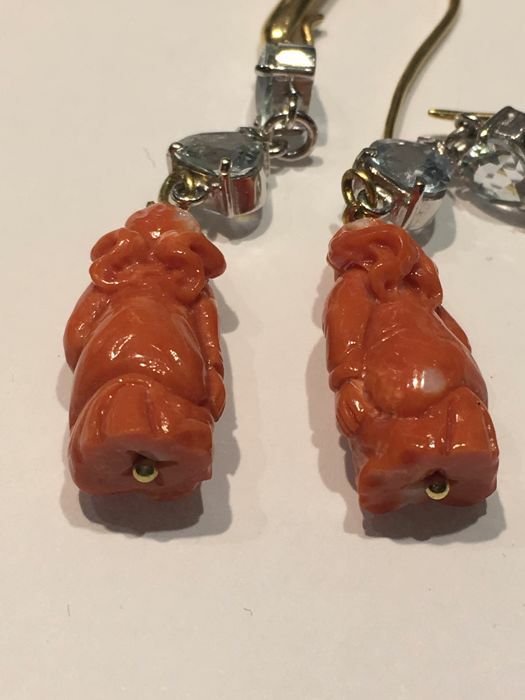 Total weight of topazes: approx. 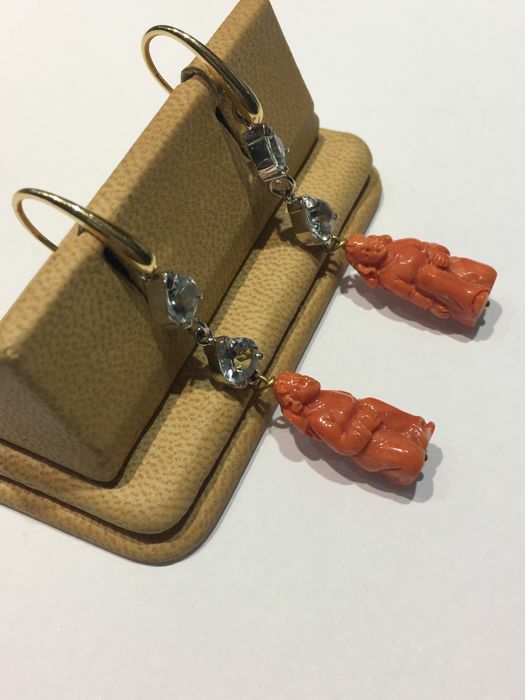 1.70 ct. 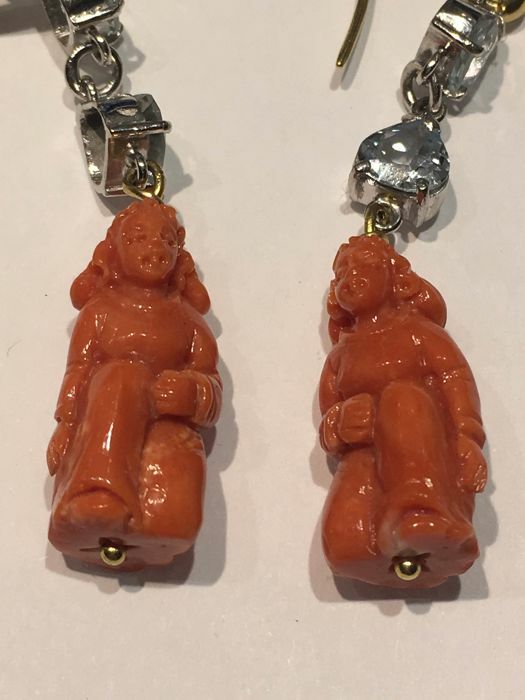 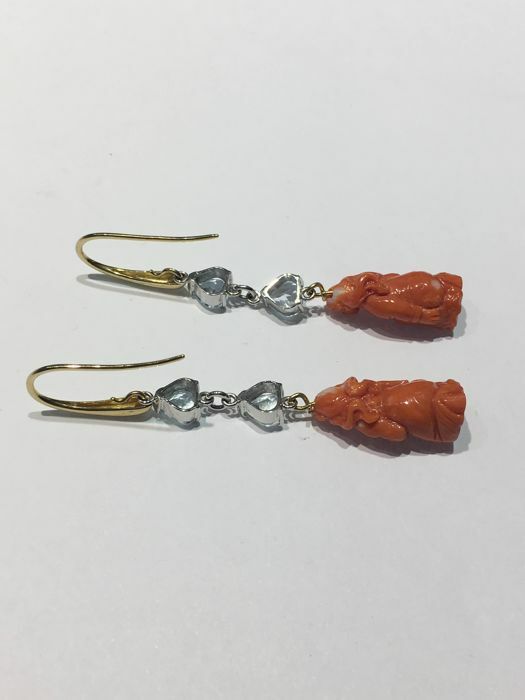 These earrings were made in the 1970s, probably in Italy. 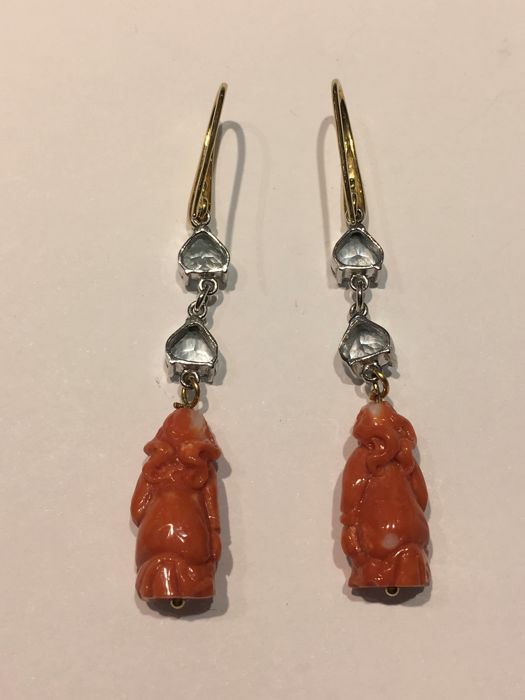 These earrings have no gold hallmarks but have been tested in the past.